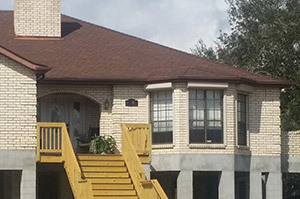 Lowes Construction, LLC, is a licensed State of Louisiana General Contractor specializing in home elevations. We service Southeast Louisiana and Houston, Texas and all points in between. We are fully insured, registered with the State and Local Grant Programs and have a long list of references upon request. Lowes has a strong reputation for outstanding service, on-time job completions and quality workmanship. We offer free estimates and customized elevation plans tailored to fit each of our customer’s needs. Our sales associates are professional and courteous and will assist you through the entire application process to ensure that you have ZERO out of pocket expense. We guarantee the job to be completed within 90 days of receiving your funds using the most advanced elevation methods, state of the art equipment and highest safety standards.